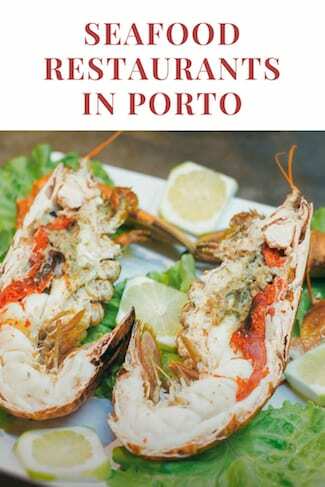 Ladies and gentlemen, brace yourselves: everyone knows that lovers of fish and seafood have to leave Porto and head out to Matosinhos. This neighboring town, just 8 km from Porto is easily accessible by subway (Matosinhos Sul stop). It has a whole street full of the best seafood restaurants in the region. There, in Rua Heróis de França, you’ll find many reasons to be happy. I admit I was a bit nervous when I visited Moules, a restaurant in Porto dedicated entirely to mussels. 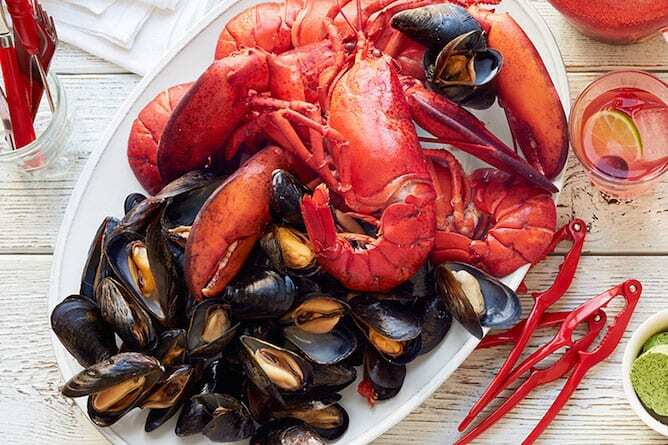 After all, we’re used to mussels being the poor relative of the clams and shrimp. However, a visit to Moules is enough to break down this unjustified prejudice. Here, the mussels – mostly from Spain and the coast of Algarve – are not the poor relatives, but the kings served in generous portions that cost between €12 to €15. The client can choose between different flavours, from the traditional Portuguese “à Bulhão Pato” to flavours resembling familiar international dishes like Pesto mussels and Thai mussels. For a drink with your meal, we suggest one of Moules’ craft beers. 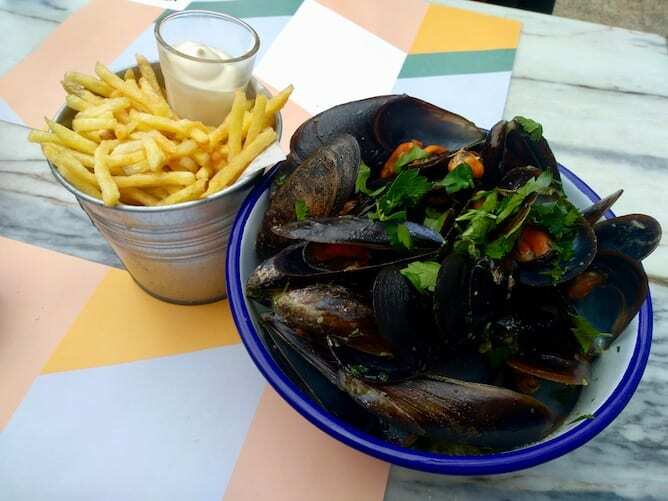 Moules has a lunch menu for €12.50 which includes a mussels dish of your choice, a drink, dessert and coffee. 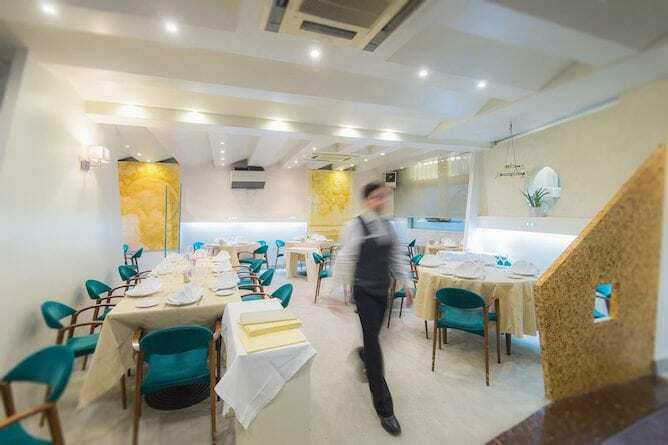 This restaurant has a nice room decorated with light colours as well as a fabulous mezzanine, all in glass, which takes you into a small garden with a playground for kids. So we strongly recommend Moules for families with children visiting Porto. How to get there: take the subway to Cedofeita, Moules will be a 10min walking distance. 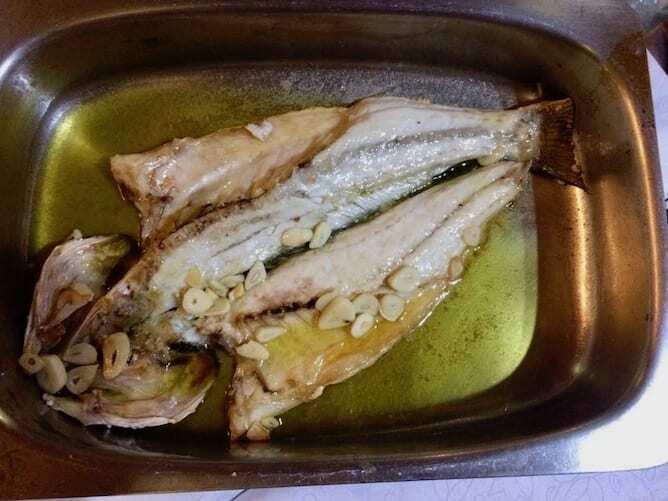 My raids on Ostras & Coisas, which is considered one of the best seafood restaurants in Porto, weren’t always happy: I still remember some tiny barnacles looking sadly at me and a stuffed crab with an overly spicy filling. 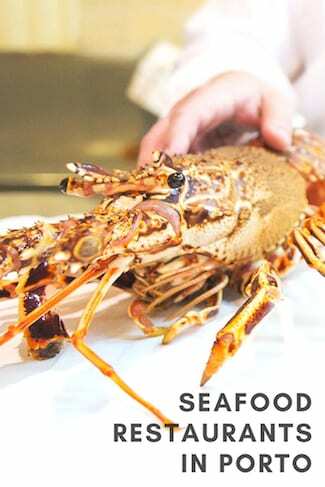 But the truth is, this restaurant is an essential reference to the art of serving fish and seafood in Porto. Apart from the oysters, we find a very diverse list of shellfish on the menu which includes not only the usual crabs but also my beloved barnacles (who doesn’t like barnacles!). 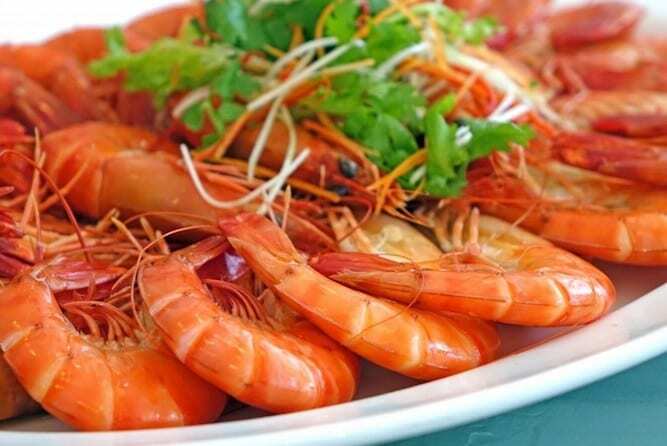 There’s also shrimp with different sizes and other sea delights. You can order separately or opt for one of the “Mix” which always includes four types of seafood. The fish menu is also diverse – it includes grouper, roosterfish, snapper, sea bass, monkfish, etc. – but the best thing to do is to check out the displayed fish yourself and decide what you want to order. One thing I particularly like about this restaurant is their sparkling wine menu – it’s small but it’s a good representation of the best of this type of wine in Portugal. How to get there: Take the subway to Trindade station, Ostras & Coisas will be a 5min walking distance. 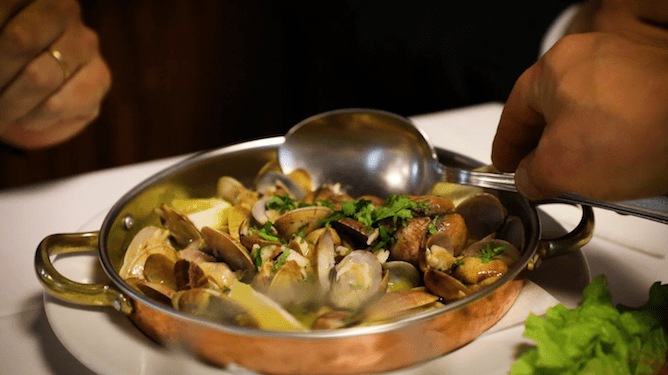 Gaveto is the traditional answer to the question “what are the best seafood restaurants in Porto?”, an answer the restaurant rightfully earned. 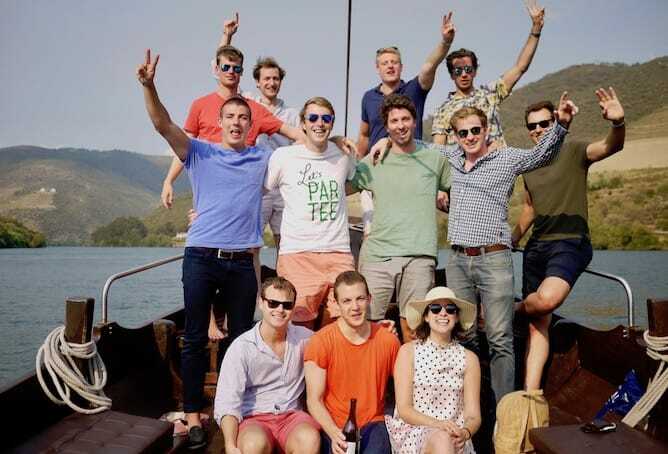 After all, it is not every day that we come across an irreproachable quality of product, coupled with a careful preparation and attentive service. 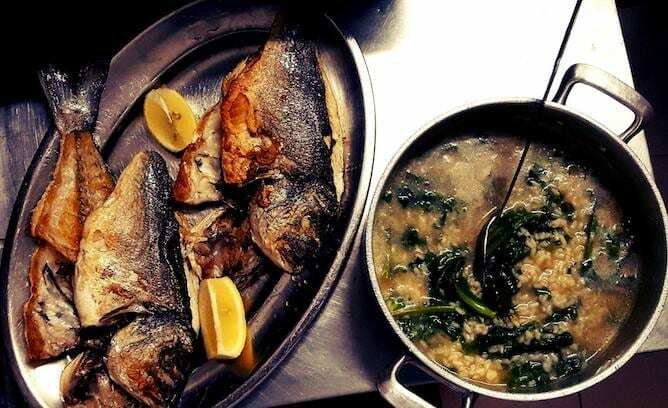 Generally, in Gaveto, I choose between picking a fish directly from the fish display (which will be cooked on the grill or in the oven, based on choice) or for a delicious seafood rice. The traditional açorda, abundant in shrimp and in flavours, is also a safe bet. 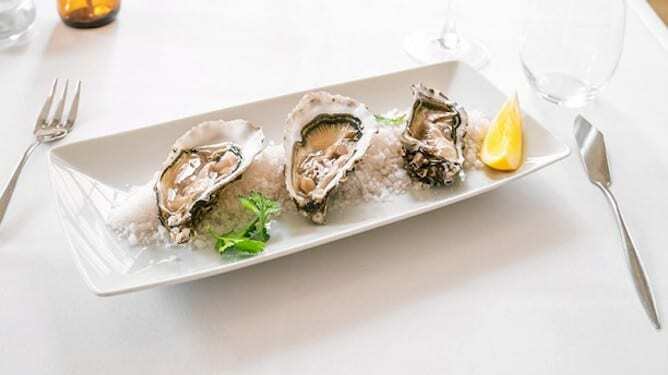 This restaurant also has the advantage of having good meat options on the menu, which is why it is a good choice for couples or groups in which some of the members haven’t surrendered (yet) to the sea charms. How to get there: take the subway to Matosinhos Sul station, Gaveto will be a 10min walking distance. 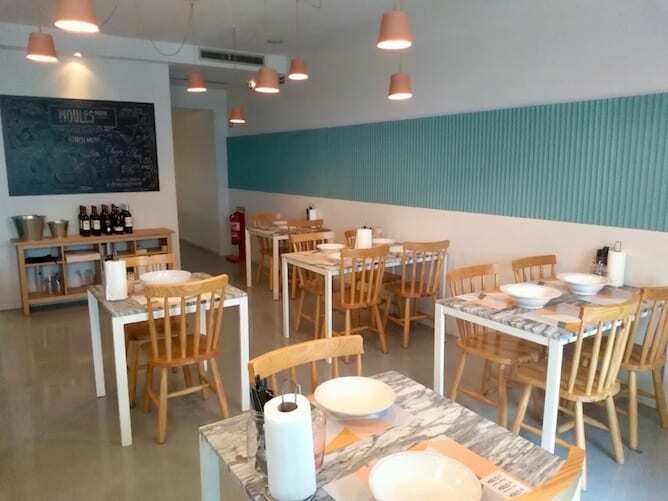 Salta o Muro is a small restaurant dedicated to those who want to enjoy one of the best seafood restaurants in Porto. If we don’t look very carefully, we might lose this humble, but good restaurant in the midst of Matosinhos seafood abundance. Salta o Muro is not for those looking for a fancy restaurant. It’s small, there are no cloth napkins and sometimes people need to squeeze-in with strangers for some space. But who cares when you’re being served an amazing grilled fish?! For an appetizer, no one can go wrong with deep-fried sardines. 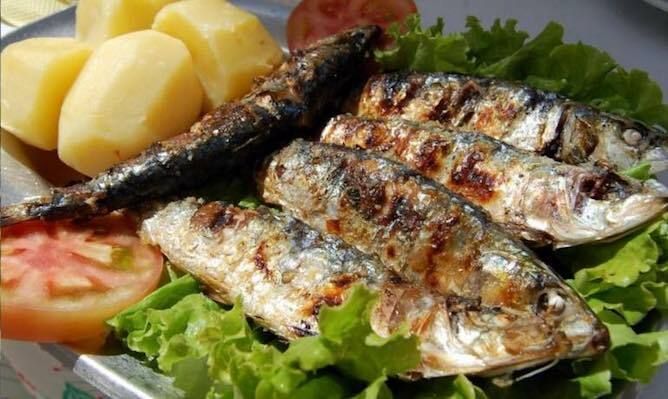 Then for the main meal, a grilled fresh fish of choice with oven baked potatoes is all I need for a good afternoon. On Friday, the octopus rice which is one of their specialties is a must-try. This family-owned restaurant has a long wine menu with wines from Douro and Alentejo to choose from. How to get there: take the subway to Brito Capelo station, Salta o Muro will be a 3min walking distance. When I first arrived at Jácome, my first impression was rather negative. The room was small and dark and it had a very strong smell of cooked fish. Thankfully, these small details did not deter me from the goal of eating good fish, and after the first bite it went straight to my list of best seafood restaurants in Porto. Jácome is not really an elegant restaurant, but it serves the best oven-cooked sea bass that I have ever eaten, with flavorus fused in Portuguese olive oil and fresh garlic. On top of that, it’s served with a mild açorda… there is no way to resist. I also suggest you one day try xipirones for an appetizer, then order a sea bass on bread and end your meal with a homemade leite creme to eat and cry for more. Like a friend of mine says, “I like to eat well, not to eat beautifully”, a gastronomic idea that I take everywhere with me. So I recommend Jácome for those who like some serious fish, with no artifice other than the beauty of a virgin flavour. How to get there: take and UBER or a taxi. This year I decided to celebrate my 30th birthday at Filipe de Angeiras and it was a smart choice. 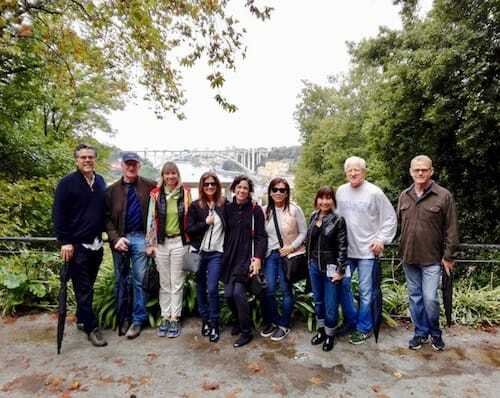 This restaurant, with a pleasant terrace waving at the Atlantic Ocean, is classified not only as one of the best seafood restaurants in Porto but also as a legitimate farmhouse. 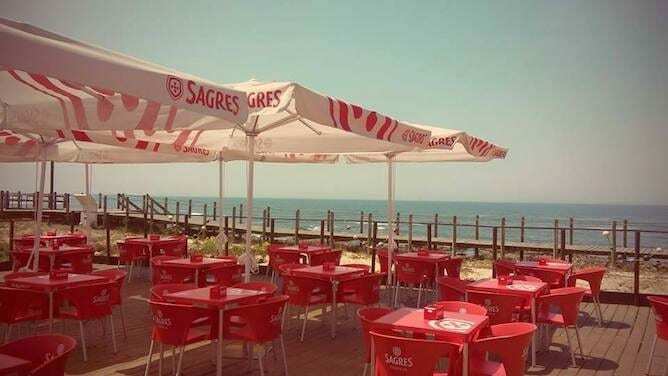 The list of appetizers is immense and it includes wonderful shrimps from the coast, octopus salad with peppers, fried fish and codfish, grilled squid, clams à Bolhão Pato style, etc. If you’re going with someone who doesn’t like these starters, then ask for a grilled chouriça or a small dish of orelheira (pig ears), you will not regret it. the waiting times for a table are really long, which only speaks well of this place. Go early or get ready to wait a couple of hours on your feet. How to get there: take an UBER or a taxi. 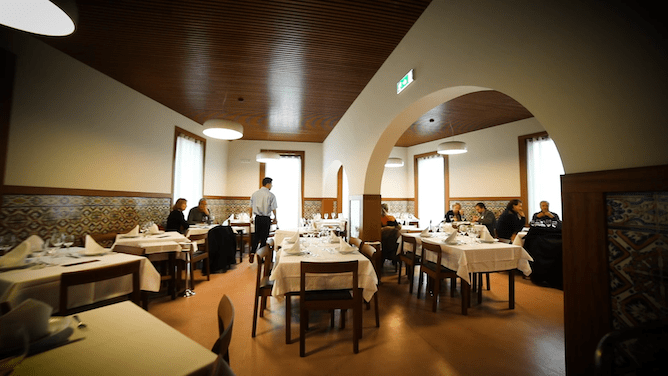 Lusíadas is one of best seafood restaurants in Porto, and one of the most expensive ones too. The good atmosphere, the top customer service, and delicious fresh seafood make Lusíadas a must-go when you’re in Porto. For starters, they serve delicious octopus which comes with a green sauce. There’s also peeled off crab to ease the hunger. 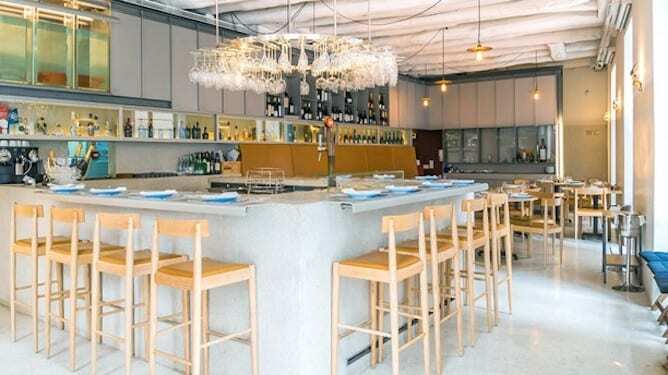 As a main meal, their famous salted sea bass which comes with oven baked potatoes is a good choice for anyone. They also have one of the stop seafood rice in town. A mix that comes with shrimp, clams and all the good stuff cost €65 and it’s good to share. There’s also roast beef and tomahawk steak for non-fish eaters. To end the meal, a treat to some creme queimado with a cup of coffee doesn’t disappoint. How to get there: take the subway to Matosinhos Sul station, Lusíadas will be a 5min walking distance.